The Face 1 is a Marc Jacobs liquid foundation makeup brush. The brush bristles are made up of synthetic fibers and the extremely large top was designed to give an airbrushed finish to the face. 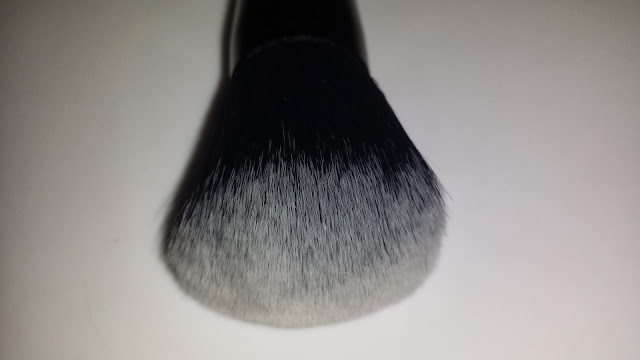 The ends of the brush bristles are tapered which prevents streaking or smudges during the application process. 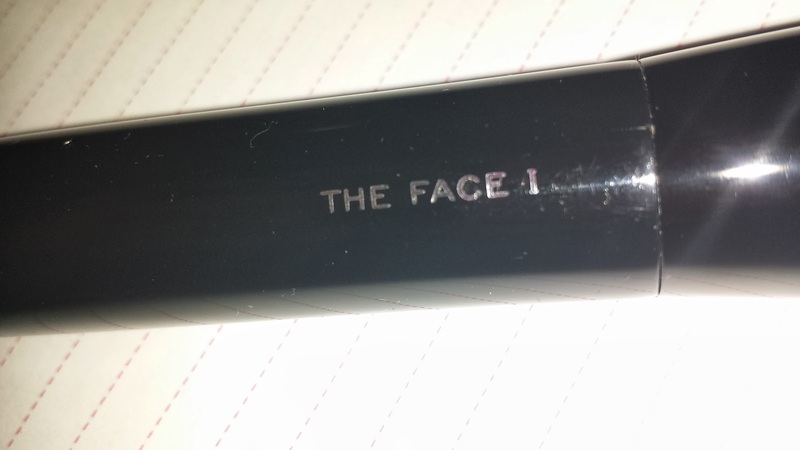 The FACE 1 brush currently retails for $48.00 USD and is sold exclusively in-store and online at Sephora. 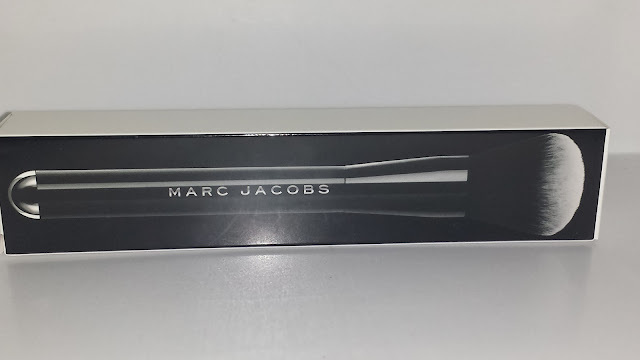 While this is a nice brush to have in your collection - it's definitely not a "must-have". 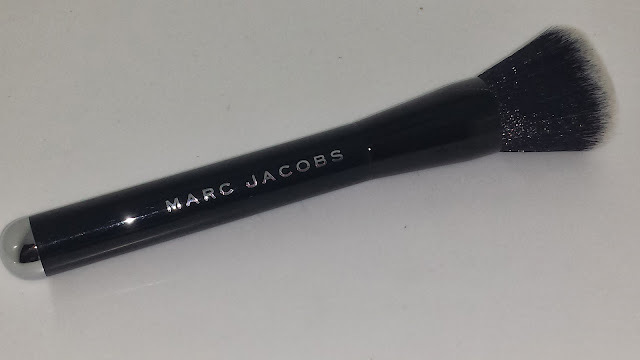 The weight of the brush feels rather cumbersome and continuous pro-longed use will almost certainly tire out the hand. 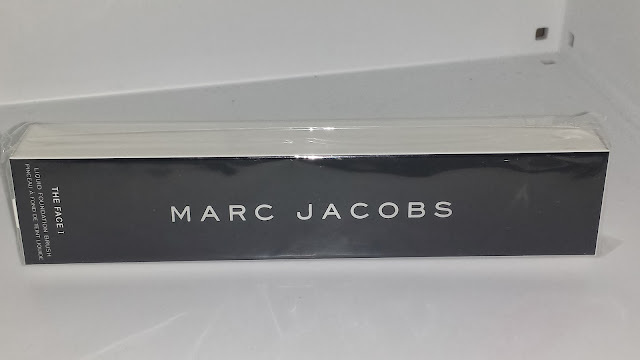 During the application of my foundation I found the over-sized top just way too large and not very effective especially when using a thicker foundation formula. 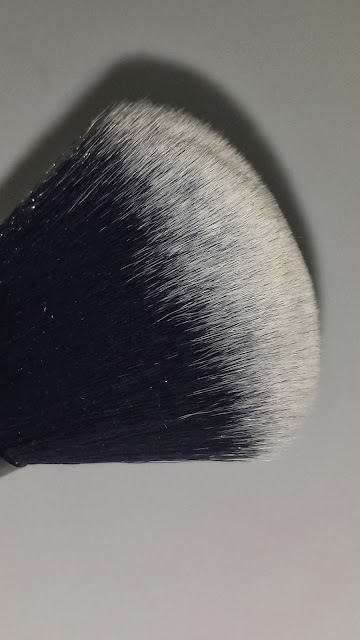 The tapered bristles didn't pick up enough product and what product it did pick up was mainly centered in the middle of the brush - maybe if the brush bristles were more dense it might have worked better for me. 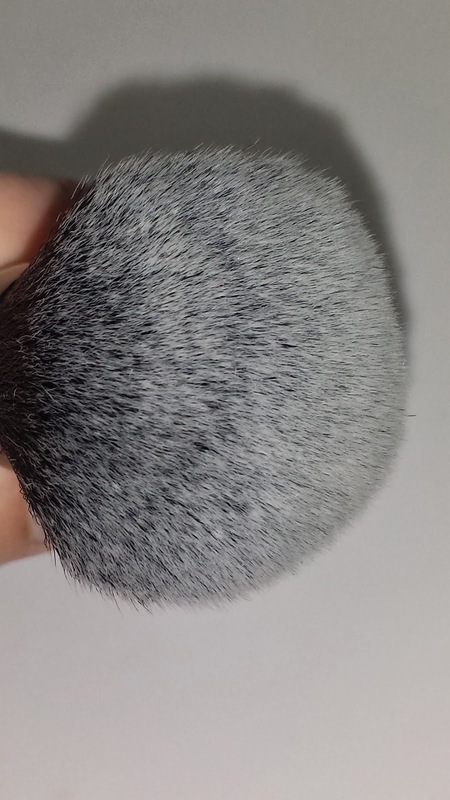 I even tried using the brush with my Guerlain meteorites but the brush bristles were way to soft to really pick up any product. Then I tried using the brush with my loose face powders and I did achieve better results but overall, in my opinion, the FACE 1 makeup brush just doesn't live up to all the hype.